In this week’s post, I decided that we should address one of the more overlooked aspects of moving – the paperwork. You should always try to keep track of documents, certificates and important letters, but when you move house, knowing what paperwork you have and where it is becomes not only crucial, but also a lot trickier, as everything you own is shifted from pillar to post. There are a few things you can do to make the job easier. 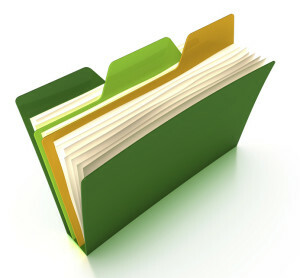 Once you’ve gathered all your documents, make sure you have some way to keep them together safely. Something like a multi-pocketed folder from a stationery shop will do. Photocopy things like insurance documents, birth certificates and your driving licence and keep the copies separate from the originals, just in case! Better safe than sorry. If your car documents are due for renewal during this busy period, make sure you deal with them; the last thing you need on top of the house-moving stress is to find yourself in trouble over car insurance. With all your important items in a handy folder, changing address with any companies that don’t already know will be a lot easier and you’ll have all the ID you need for schools, banks, doctors etc. You never know; moving house might be the start of an organised new you!